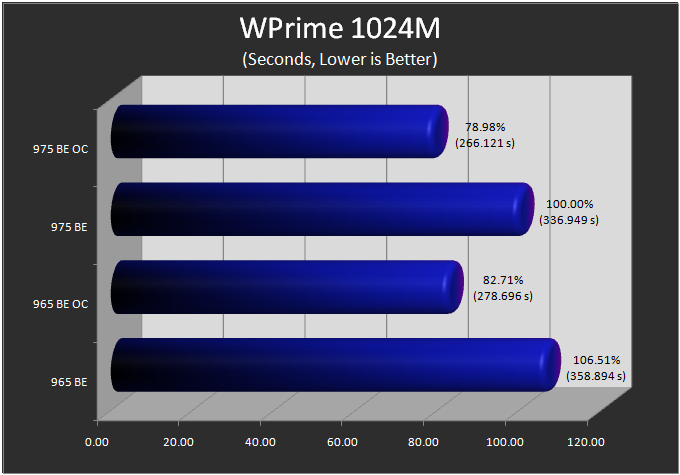 With all the news coming out this week, 2011 is kicking off with a real bang for those looking to get top performance from their computers. Intel broke the silence on their latest platform to start the week off. 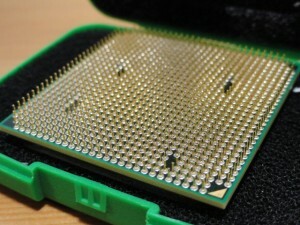 Soon I’ll be landing in Vegas to cover CES and learn more about what our favorite companies see in store for us through 2011… Today however we bring you more new processor offerings from the green team at AMD, and specifically this review will be looking at AMD’s premier quad-core desktop processor – the new AMD Phenom II X4 975 Black Edition clocking in at blistering default frequency of 3.6Ghz (200Mhz x 18 = 3600Mhz). 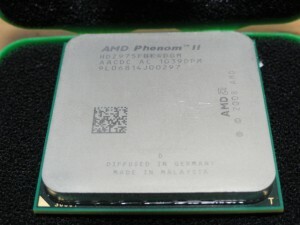 This processor brings with it the best quad-core performance you can purchase from AMD out of the box, bumping up the base speed 100mhz from the already available 970BE priced currently at $185 at newegg.com. AMD’s approach to remain competitive in the mainstream desktop segment continues to target the best value for a given level of performance. This 975 BE looks to deliver at a price point under $200, with compatibility on existing AM2+ and AM3 boards as well as future AM3+ platforms. This review will cover the 975 BE’s stock specs, baseline benchmark scores, and overclocked results to give you an idea of what to expect out of these chips beyond what you can buy off the shelf. This is a fully unlocked multiplier product, which means you have the best possible control with the frequencies you want to run the chip at. Lets get down to business and see how this chip stacks up. The most prominent feature of this chip and the AM3 platform that I’ve recognized through my testing of AMD quad-core Deneb processors is the capacity for “tweaking”. There is simple, and there is complex, and they are very distinct. Simple: With a black edition CPU like the X4 975 BE, you have the option of simplicity where you can simply modify the CPU multiplier and leave all other settings at default. This is basic overclocking at its simplest – increase the multiplier until the sytem becomes unstable, then reduce the multiplier one level and test again for stability. Without touching voltages or any other frequency settings, you can typically get a couple hundred extra Mhz as simple as that. Just by increasing CPU voltage slightly, you can typically get a couple hundred Mhz more once again. Easy as pie. Complex: You also have the option of complete control of all the variables possible, and this is where the chip really shines for enthusiasts who like to get every last drop out of the hardware – tweakable frequencies of pertinent interest to AMD overclockers are FSB, CPU-NB, HT Link, and RAM. Each of those work off of the base FSB frequency you select, whose frequency can then be tweaked through separate multipliers for each subsystem the CPU relies on to operate. These settings determine the individual operating frequency over which the CPU talks to the rest of the platform – being able to tweak each separately gives total control to leverage everything your hardware has to offer. I’ll give some examples of this further in the results section. 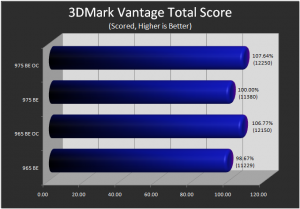 For comparison in this review to give readers a better idea of value for the dollar and performance, we’ll be comparing against a 965 BE which is rated 200 mhz lower at 3.4Ghz (200Mhz x 17 = 3400Mhz), but shares the same specifications otherwise. Superpi1m, wprime32m and pifast benchmarks were run 3 times at stock and overclocked and the average of these runs is presented; these benchmarks complete the quickest and taking the average of multiple runs compensates for small variations between runs which can make a notable difference in comparisons. 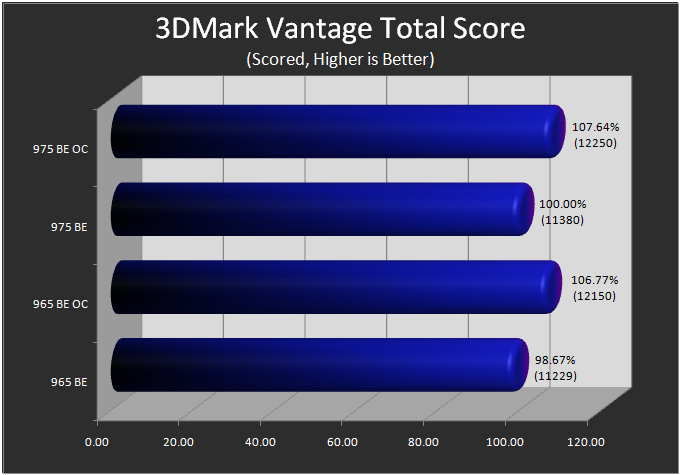 The longer benchmarks were run only once – they too vary slightly upon each run, however variance between runs with the same settings is approximately .5% of the total scores, which I consider an acceptable level of accuracy for the purpose of this results comparison. The maximum CPU frequency for running the overclocked benchmarks was identified by running 10 minutes of Prime95 without crashing while not surpassing 50C on the CPU temperature. Those settings were then used for all overclocked results on each processor. Overclocked settings for all relevant tests were as follows. In finding the maximum overclock to run the tests at, the highest I was able to get the 975 BE frequency was 4510Mhz (220 x 22.5). However, I chose to back down to 4500Mhz because that enabled me to run the memory at the same frequency as the 965 BE, making this a better direct comparison of the 2 processors. I was also able to get the CPU-NB on the 975 BE much closer to 3000Mhz, which helps memory performance slightly in the benchmarks. I can’t help but say I was hoping to run the tests closer to 4.6Ghz, but then being stable enough to run the complete benchmark suite with ease at 4.5Ghz is nothing to sneeze at. Keep in mind however that I wouldn’t expect these to be 24/7 stable settings and you shouldn’t either. 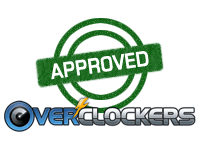 The voltages are high and the stability could be questionable long term, but this is Overclockers.com after all. When interpreting the following results, take note that they display relative performance. For this article the 100% point is set at the stock 975 BE scores. Every other result is expressed as a percentage of that result. For scored benchmarks, above 100% means the score was better than the stock 975 BE result and below means it was worse. For timed benchmarks, below 100% means the time was faster (better) and above means it was slower (worse). Each bar is paired with its relative percentage as well as the absolute score achieved on the benchmark for reference. In parenthesis below the benchmark name inside the graphs, you will see what the benchmark measures (i.e. seconds, scored, MIPS, etc) as well as whether a higher or lower percentage is better. The bars in the graphs accurately reflect the proportions for how much better or worse each score is. This is done to lend a more clear understanding to readers looking to understand how much difference there is between these chips, and between their stock and overclocked settings. PoV Ray is a rendering tool, which includes a benchmark to calculate the number of pixels your machine can process per second. The 7-zip benchmark performs a file compression and decompression test then averages those results. The resulting value it reports represents how many Millions of Instructions Per Second (MIPS) your system processed. 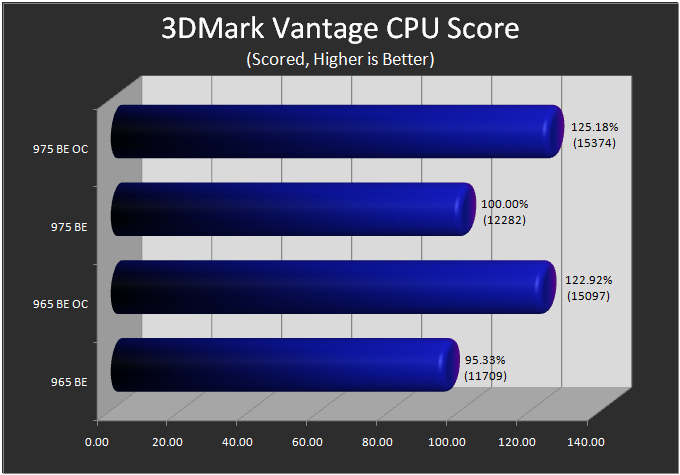 3DMark is well known as the gamer’s benchmark, with a trail of gamer oriented benchmarks that span beyond the last decade. SuperPi, WPrime and Pifast are popular 2D benchmarks with enthusiasts. SuperPi 1M and Pifast are highly sensitive to CPU frequency, as the data set is small enough to fit entirely within the CPU cache; memory is a negligible factor with the scores from those apps. SuperPi 32M and WPrime 32M/1024M take considerably longer to run in comparison and are fairly sensitive to memory bandwidth and timings. CPU frequency is important in both, but only WPrime is multi-threaded taxing all cores simultaneously. At the price point, it looks to me like the 975 BE is a solid contender for anyone looking to own a top of the line quad-core AMD processor and run it at stock settings. In this comparison, it consistently delivers a 5% performance advantage at stock over the 965BE. With this being the top of the AMD quad-core product line, that modest edge naturally comes at a modest premium over established members of the product line like the 965 BE which has been around for a year or so already. Alas, we are looking at Black Edition CPUs targeted at gamers and enthusiasts looking for more control – when overclocking, the advantages nearly disappear in these tests. Given how the performance shakes out, and the retail price of $159 for the 965BE, it may be best to put the money you’d save towards a good budget air cooler and see where a little extra voltage takes you! That said, for less than $200 the 975 BE can put you at the forefront of AMD’s quad lineup, while the bottom of Intel’s Core series quad pricing starts just above that level (I feel safe ignoring LGA775 and you should too). With that sort of positioning in the market place, the AMD Phenom II X4 975 BE seals its fate… This one is Overclockers Approved folks! Nice review Matt, do you reckon spending the extra on the 975 gets you enough headroom to make it worthwhile? Were the temps on the 975 any better? whats up with the funky case these guys are coming in? Hahaha...that's for sure. TWKR got its own lockbox. ;) They're OEM and don't come with a cooler, so that's how they protect them. It's better than the 1075T, which was in an empty 12-CPU tray (save the one CPU of course) and held together with packing straps. It almost seems superfluous with proc's like the Thubans out and even newer core tech on the way. The value that comes from this is in the form of knowing we have higher speed options for machines we don't want to overclock like critical systems and that it falls in a lower power envelope. For me my 3G proc would do 4G with an easy bump. Thanks for opening that door. lol very disapointing, the tray was not full. This was a really tough review for me, especially as I've gotten some great results from the 965 BE this 975 was up against... This 965 has the top 2D rankings on air for all 965's on hwbot. A few people have better scores on water cooling, however most everyone in front of me with the chip is using subzero cooling. A lot of the people behind me are on subzero too... I think its a pretty good chip I got here. Still however, the 975BE edged it out when putting the limit at 50C. Testing beyond that will take more work, however I have intentions to get LN2 on both of these chips, and then we'll have a better idea of where these chips find their upper limits. For a chip like the 975 BE rated at 3.6Ghz, its hard to be disappointed about "only" being able to run at 4.5Ghz... But I managed. I really hoped it could get me to 4.6Ghz, but I could only boot into windows a couple times that high, and then it was really unstable. It needs more tender love and care, then maybe it can get there to run some benches... But I had the vcore all the way to 1.65V trying to push things higher and it just wouldn't play ball. I had wanted to include some suicide runs towards the end, taking it as high as I could get it, but I couldn't find any way to get it 100mhz higher than the overclocked results you see in the benchmarks within the review. Both chips top out pretty close to eachother... Although I did get a 4.7Ghz CPU-z from the 965BE a few weeks back (not bad on air cooling). Maybe with more time the 975BE has it in it also, but I'm not certain. Every chip varies of course, the luck of the draw is always a factor. Both contenders here can run solid benches at 4.5Ghz. The 975BE is a bit more comfortable there, which is good to see since after all it is a higher rated cpu. As for temps, thats really hard for me to say which is why I didn't mention much about it in the review. If you put a gun to my head, I'd tell you the 975BE seems to run slightly cooler... Although thats hard to say because my monitoring equipment and temperature control leaves a lot to be desired. Temps stayed rather consistent in my testing... With the voltage I was running idle was usually around 26-27C, and full load topped out at 50C. It seemed like I could put a notch or two more voltage through the 975BE and still run the same temps the 965BE ran... But once again, I gotta cop out and tell you I don't have the temperature resolution or logging in place to be confident. Temps are close to the same... But I put a bit more voltage through the 975BE and it stayed under 50C consistently, while I couldn't give the 965BE that amount of voltage and keep it under 50C reliably. BTW, the case it came in just had a piece of yellow paper scotched to the top, with 975 BE written by hand in red ink. These review chips come in interesting packages. I was surprised to see this after seeing the almost empty tray Hokie got in the mail. I do find something a bit odd though. That's an improvement of ~61% and well expected from a much more powerful cpu. Does it really take that big of a jump in cpu/ram speed to gain that 1.3s? hmm i noted that you suggested this might work in am3+ platforms, is it just the newer release phenoms ( 840,970,975 ) or will my 965 be usable for a while longer? Most of the 975BEs on hwbot are hitting 7Ghz under LN2.